Autumn in Ticino means some of the best hiking opportunities of the season. The weather is usually warm enough to enjoy a hike in the sun, but not too cold. Also, you can rely on clear, crisp autumn days to catch the best views from the top of the mountains. 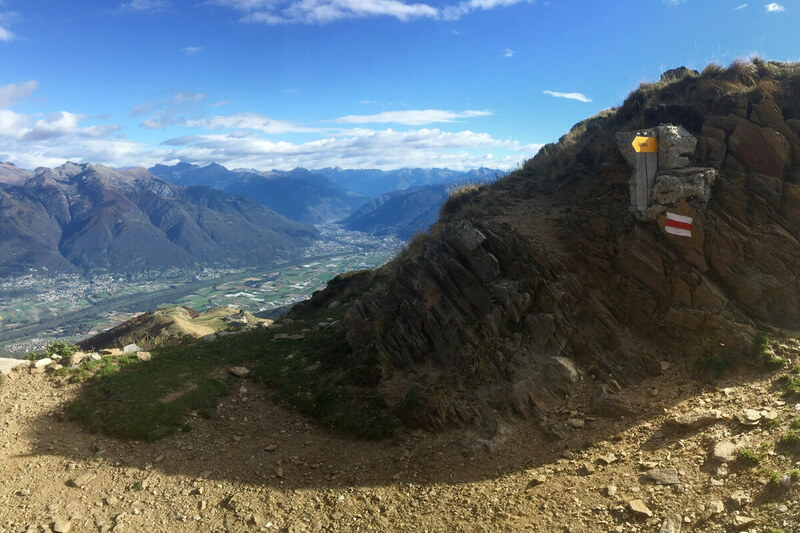 This year, we took one of the most scenic and challenging hikes that Ticino has to offer: The Tamaro-Lema hike. 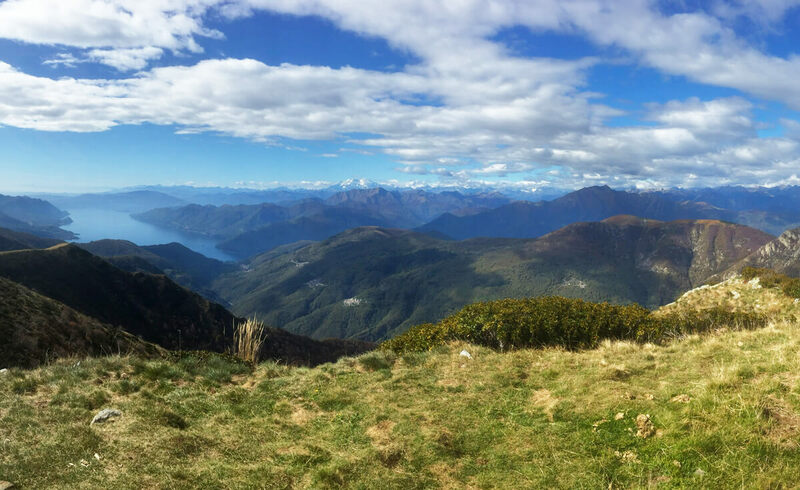 This mountain ridge hike will take you through the heart of Ticino with the nicest scenery the south has to offer. You start by taking the cable car from Rivera to Monte Tamaro. There, you can visit the church of Santa Maria degli Angeli, built by architect Mario Botta on a panoramic spot. 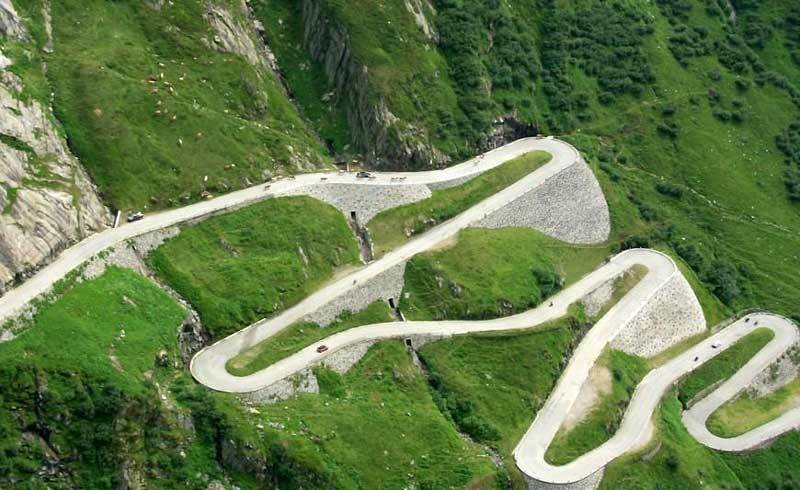 Next, you want to climb up to the top of Monte Tamaro at 1961 meters above sea. This is probably the hardest part, with a bit of a steep path that will test your legs and your sense of adventure. 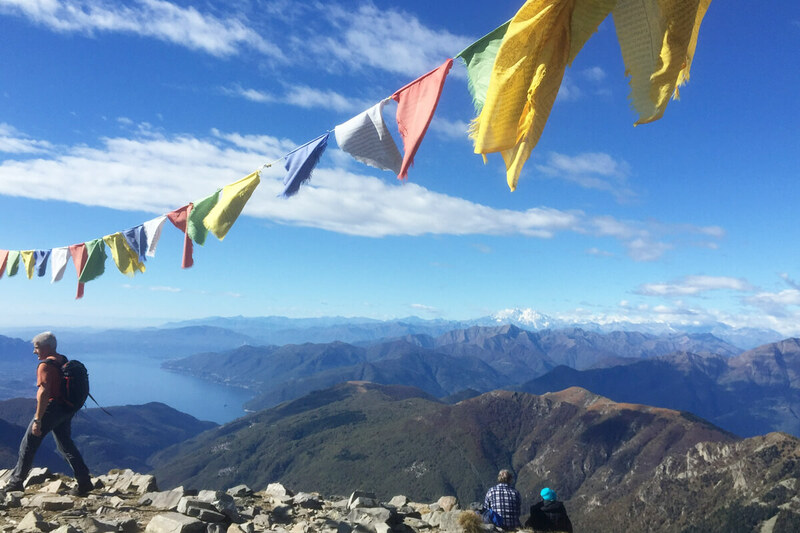 Once you get to the top, why not celebrate with a cup of coffee at Capanna Tamaro before starting the proper hike? Waiting for you is a 12 km long path all the way to Monte Lema. The trail from one mountain peak to another is quite challenging. But the many beautiful landscapes on either side of the path make it worth the effort. You will walk across summits, slopes and several typical alpages. Along the way, you can look north and you will see Locarno, Lake Maggiore, Centovalli and Valle Maggia. Or you can look south and you will find Lugano, Lake Ceresio and everything beyond. The whole panorama is surrounded by snow capped mountains in the distance, going as far as the Matterhorn and the Monte Rosa massif. Truly, it feels like walking on clouds! Just be aware that at certain points during the hike, you will cross the border with Italy. (You will not notice it unless you look at the map, though.) That’s the thing about Ticino: Geographically speaking, it is very much intertwined with Italy. At the end of the long hike after about 4.5 hours, you will reach Monte Lema. Rest your legs, have a drink, and relax. You’ve earned it! You can then take the cable car down to Miglieglia, which is minutes away from Lugano. 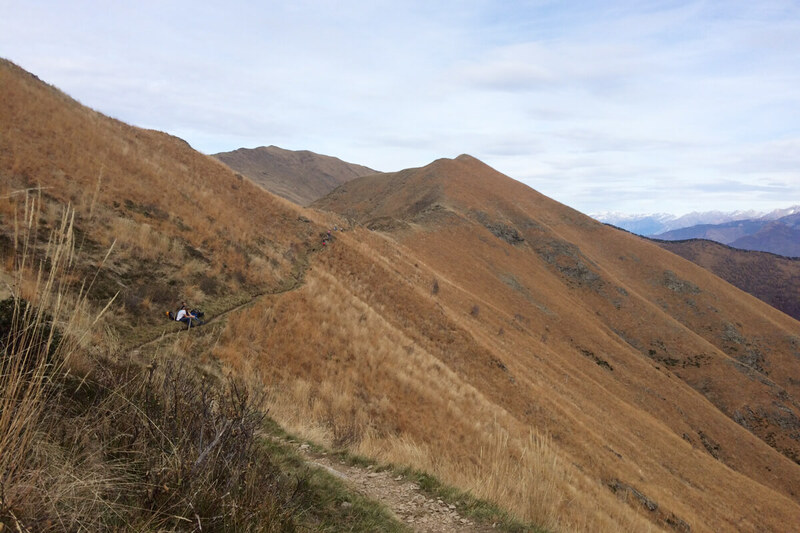 If you don’t feel like doing this long hike, Monte Tamaro offers many opportunities for family fun: An adventure park, coaster bob sleds, a beautiful playground and an easy walk around the top that is suitable for everyone. 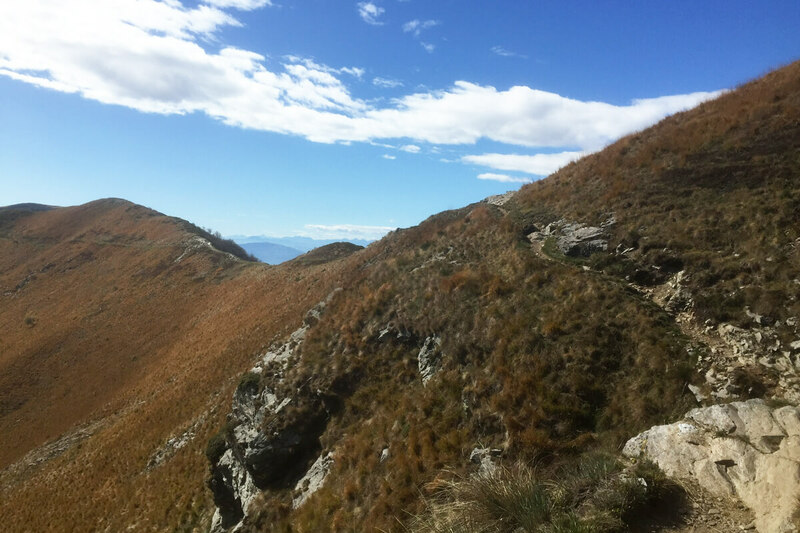 The Tamaro to Lema hike is suitable for adults with a good level of fitness - not because of the difficulty of climbing, but because of its length. Plan ahead according to the weather forecast and your own physical conditions. You can find extensive information and a detailed map on the Tamaro Park website. Comfortable, breathable clothing that can be worn in layers is always recommended, along with a rainproof vest. Don’t forget sunglasses and sunscreen! Even on mild autumn days, the sun can be very strong and the path doesn’t offer any shade or trees. Brings lots and lots of water as there is hardly any water source along the path. You can have lunch or a snack at the beginning or the end of the hike, but bring some healthy foods to keep you going along the way.